Shawn L. Gray | Diesslin Group, Inc.
Shawn L. Gray is the Vice President, Chief Compliance Officer, and Chief Information Security Officer of Diesslin Group, Inc. and a principal of the firm. Shawn manages the firm’s computing, networking, and programming solutions. He also develops Monte Carlo retirement analyses and cash flow projections, builds estate planning diagrams, and models stock options for clients. 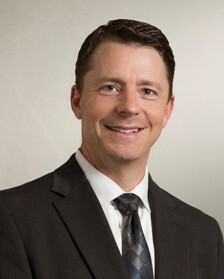 Prior to joining DG, Shawn worked in the banking industry. Shawn received a B.B.A. degree in Finance from the University of Texas at Arlington. He joined Diesslin Group, Inc. in 1992.